This trunk was built for Northwestern University. It is designed with with 3 sets of Tilt Lock bins and a Rigid cordless drill mounted in the case lid. 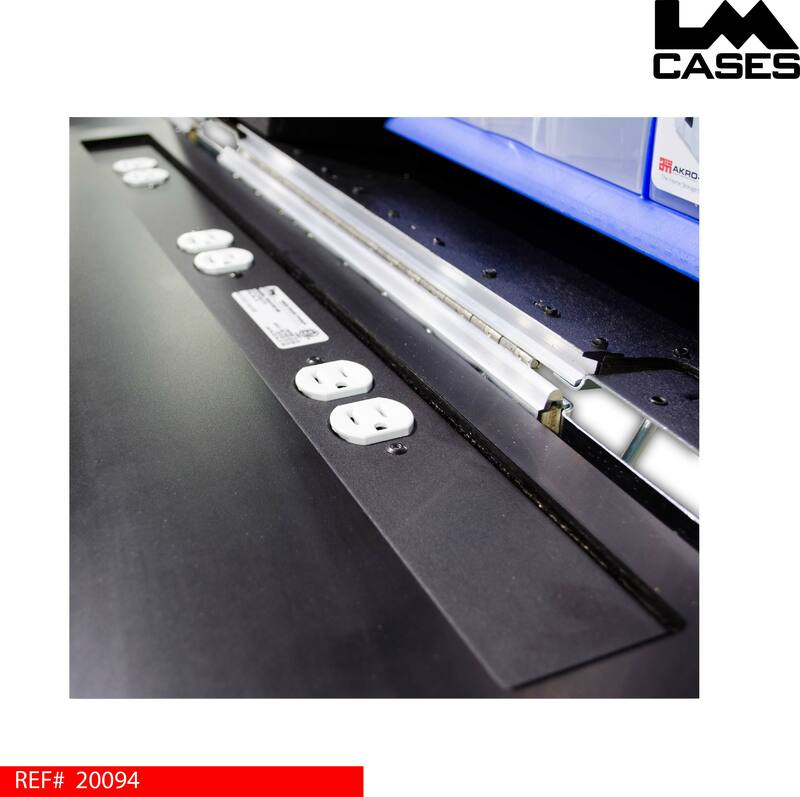 The work surface is laminated with black Formica and features a 6 outlet power strip that terminates into a recessed plug on the exterior of the case. The plug can accept any standard extension cord, all electronics were provided and installed by our in house Custom Integration department. The case interior features 8 drawers with custom dividers mounted on HD Accuride drawer glides. 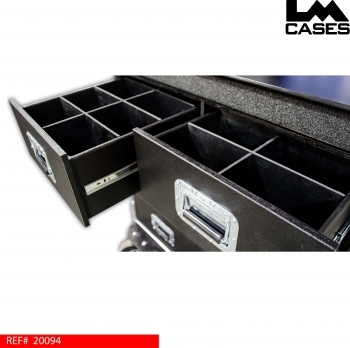 All interior surfaces and drawers are black texture coated. 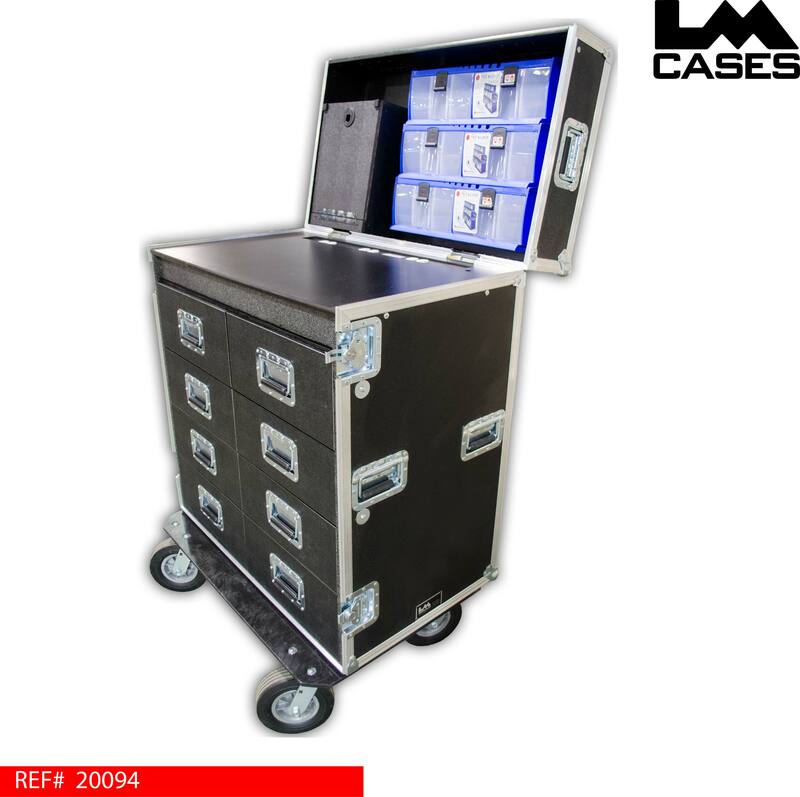 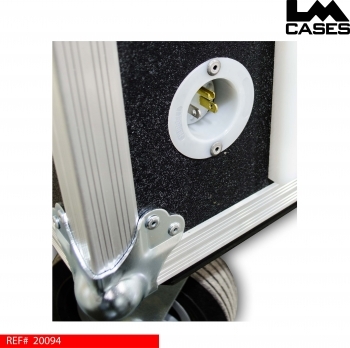 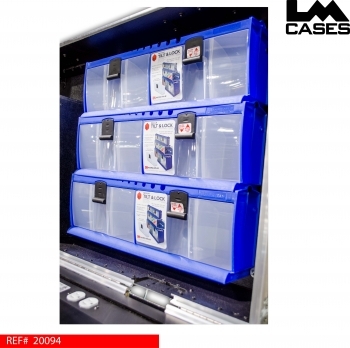 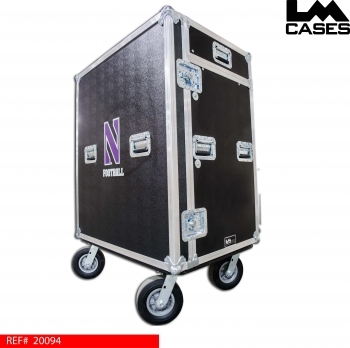 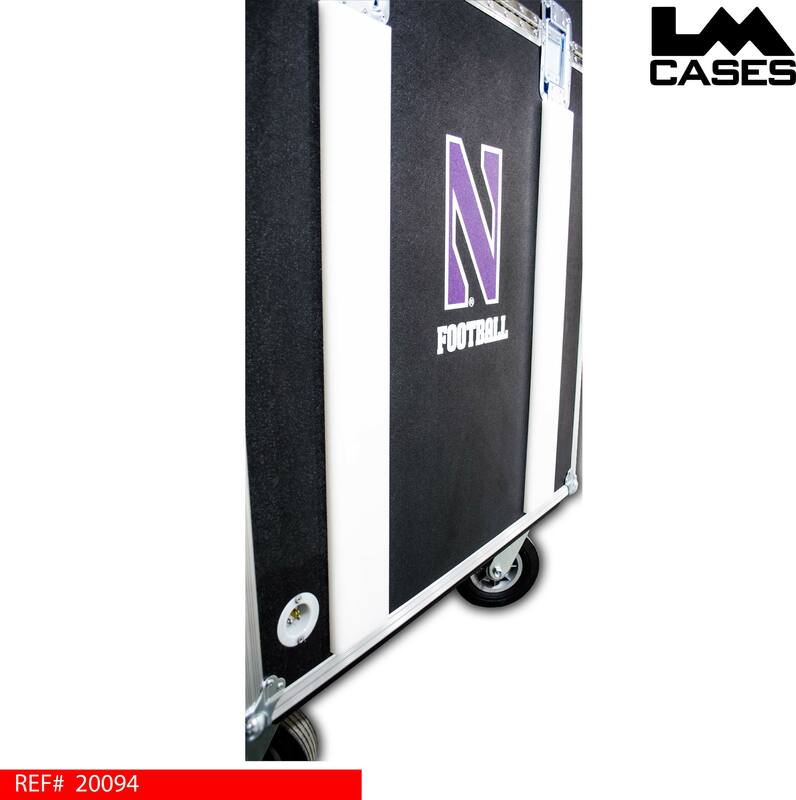 The case exterior is built out of 3/8" plywood and features 8" field casters, a custom 2 color silkscreen of the Northwestern logo and white UHMW plastic runners that allow the case to be flipped on its back for storage under a bus. Special thanks to Northwestern University!